Floyd Mayweather has opened as the betting favorite vs. Manny Pacquiao, according to Sportsbook. Mayweather announced Friday that he and Pacquiao will finally fight each other on May 2 at MGM Grand. At the time of the announcement Sportsbook listed Mayweather as the favorite at -295, while Pacquiao is +230. 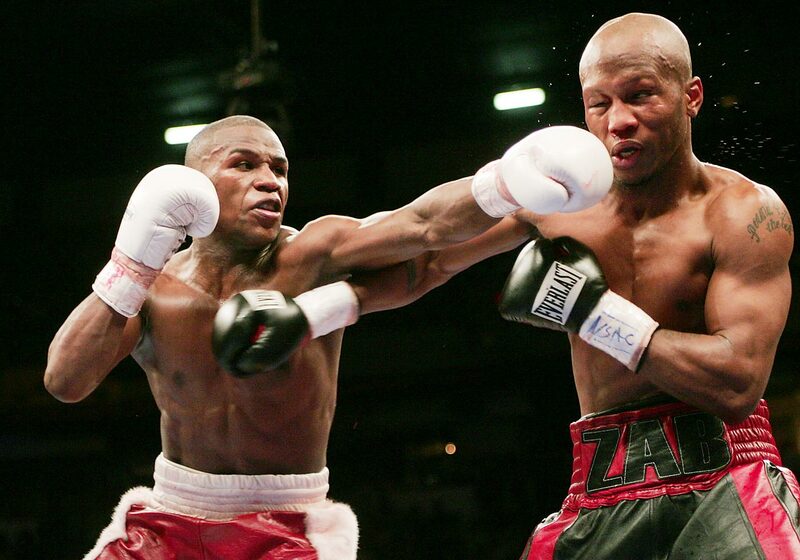 The two are widely considered their generation's best pound-for-pound fighters. With the long-anticipated fight between Floyd Mayweather and Manny Pacquiao finally agreed to, SI.com takes a look at Mayweather's career milestones. 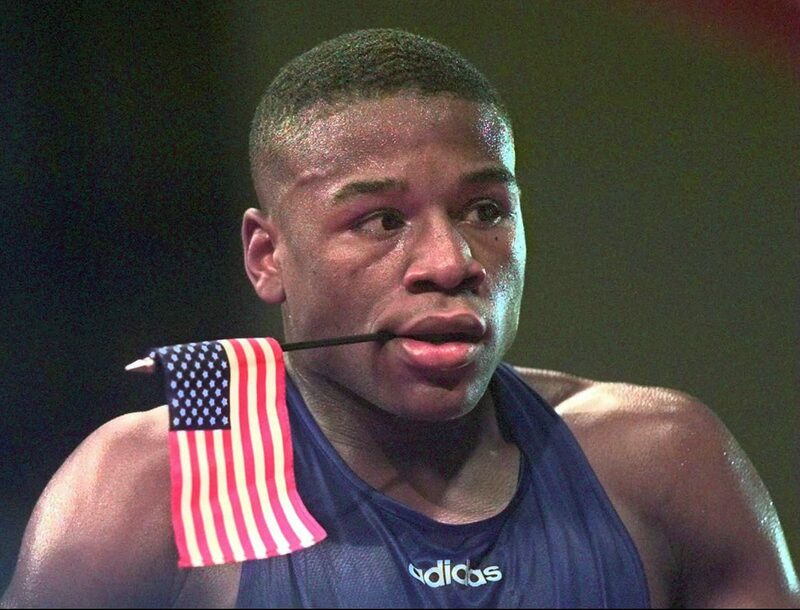 After going 84-6 as an amateur with a national Golden Gloves title, Floyd Mayweather won bronze at the Atlanta Olympics thanks to a controversial loss in the semifinals by decision to Bulgaria's Serafim Todorov. 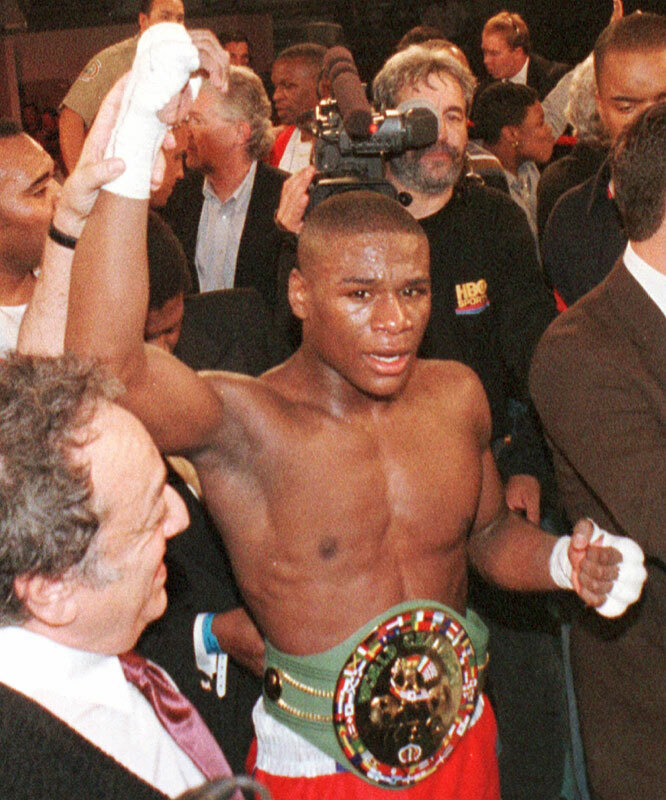 Mayweather earned his first world championship with an eighth-round stoppage of Genaro Hernandez for the WBC junior lightweight title. 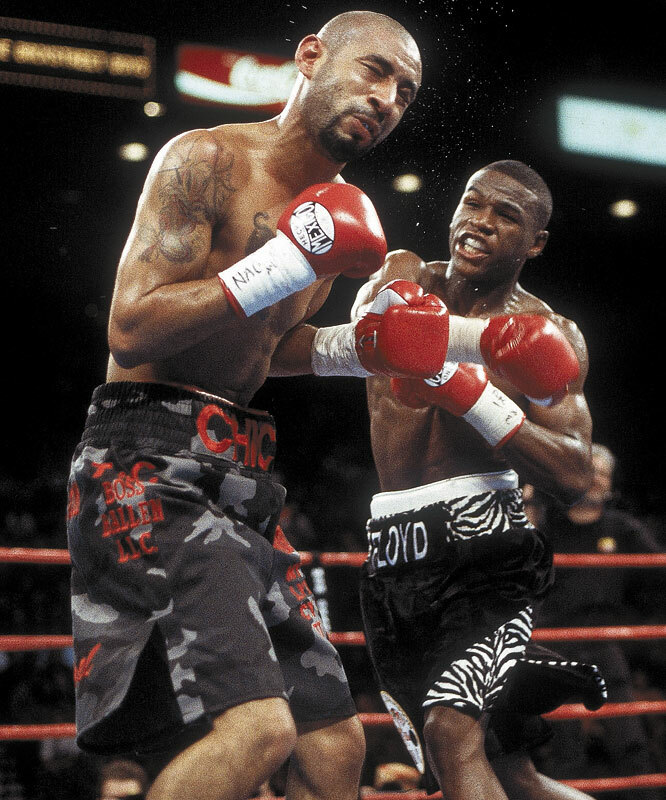 Neither Mayweather nor Corrales had suffered a knockdown as a professional entering their 130-pound title fight. But the precocious "Pretty Boy" sent "Chico" to the canvas no fewer than five times in an emphatic victory. 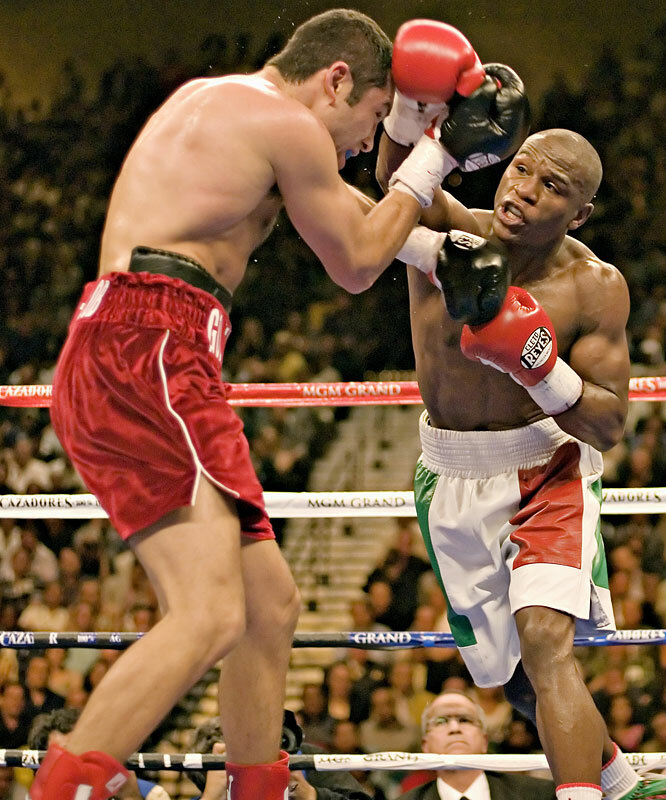 After moving up to 135 pounds, Mayweather captured and retained the WBC and Ring lightweight titles with two unanimous decisions over Castillo. Mayweather won a world title in a third different weight class -- this time at 140 pounds -- with an obliteration of Gatti in six rounds in Atlantic City, N.J.
Mayweather survived a spirited challenge from Zab Judah -- along with some low-handed tactics in the 10th round -- on his way to another unanimous-decision victory and the world welterweight championship. 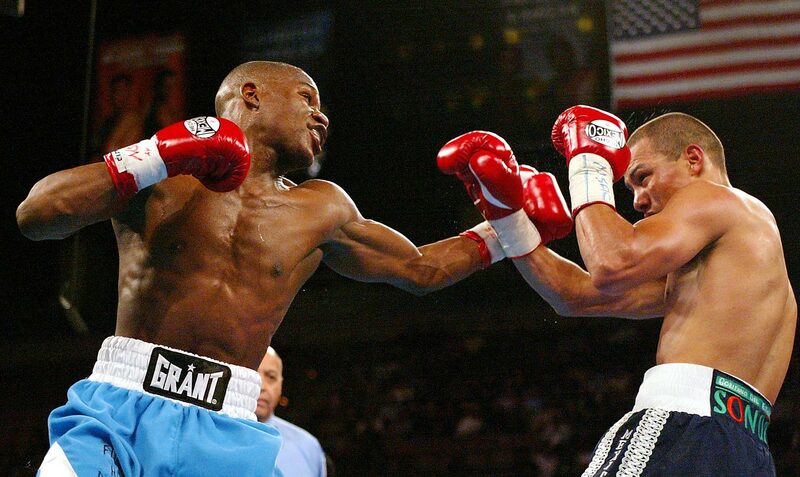 Mayweather moved all the way up to 154 pounds for the long-anticipated superfight with De La Hoya. 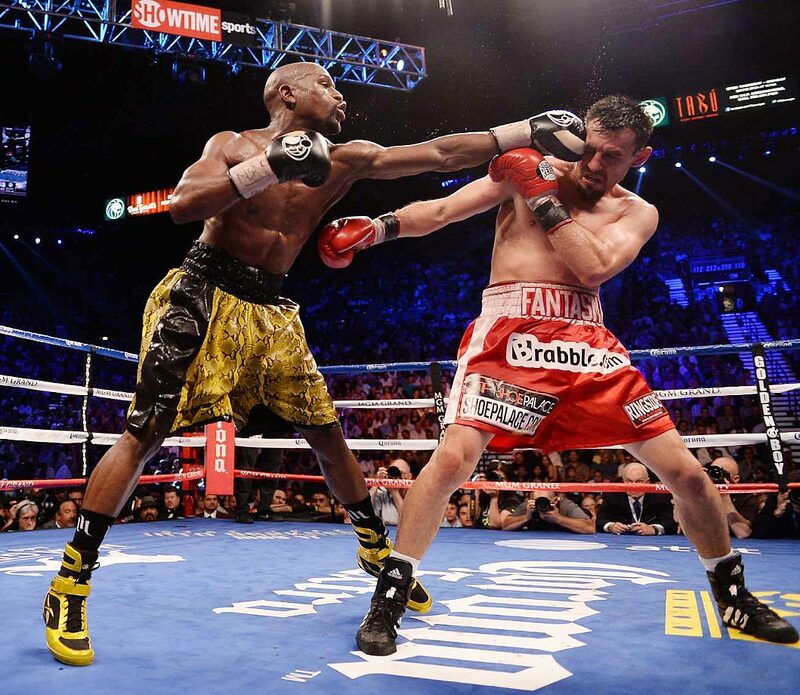 Billed by Sports Illustrated as "The Fight To Save Boxing," Mayweather won a semi-controversial split decision. Both fighters were winners, however, at the bank: The fight shattered the record for pay-per-view buys with 2.7 million purchases (or nearly $120 million in revenue). Shortly after the De La Hoya fight, Mayweather joined the cast for the fifth season of ABC's hit show Dancing With The Stars . He and partner Karina Smirnoff were the fourth couple voted off the show, but the appearance helped Mayweather achieve crossover stardom. 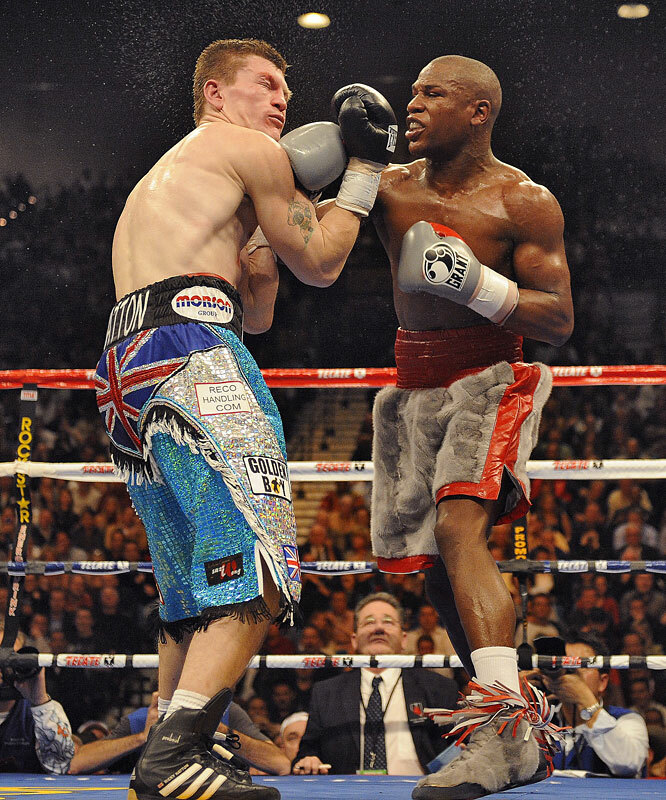 Mayweather defended his WBC welterweight title against Hatton, the lineal junior welterweight champion who moved up in weight for the fight. After retaining the championship with a 10th-round knockout, Mayweather went into semi-retirement for the next 21 months. Mayweather showed little ring rust in a "comeback" fight against Marquez, the lightweight champion and the No. 2-ranked pound-for-pound fighter according to most experts. 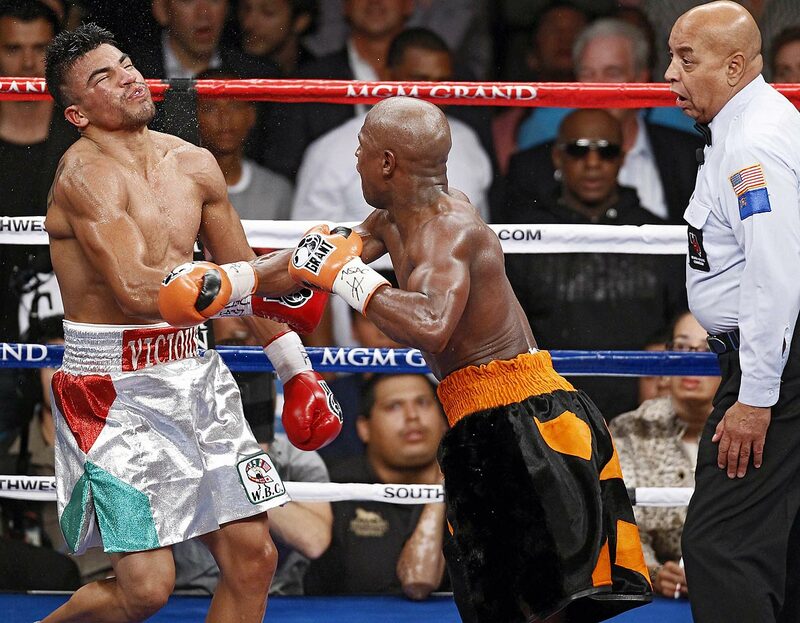 The fight proved one-sided from start to finish, as Mayweather's preternatural defensive skills confounded Marquez, who connected on just 12 percent of his punches in a unanimous-decision loss. Mayweather, nearly a 5-to-1 favorite against the veteran Mosley, was rocked with a pair of right hands early in the second round. 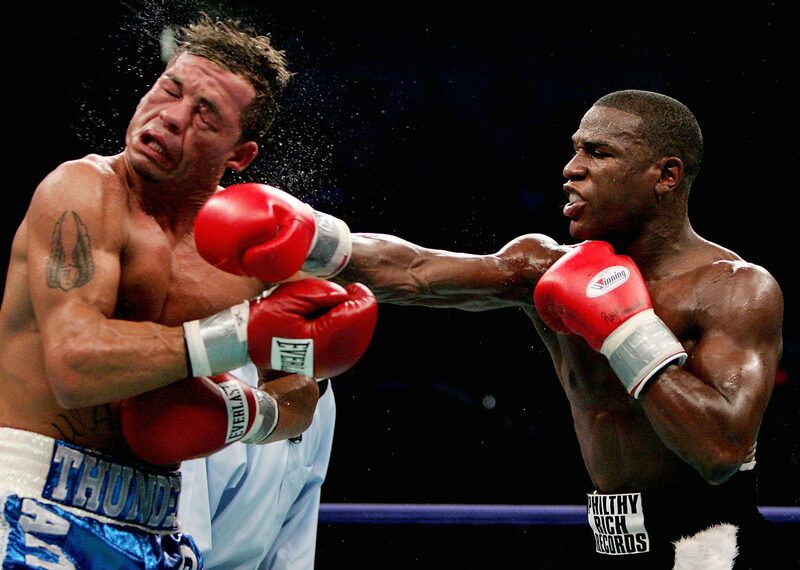 But Sugar Shane wouldn't (or couldn't) finish the job as Mayweather coasted to a lopsided points victory. Mayweather drew boos at catcalls with his perhaps unsportsmanlike (but definitely legal) knockout of the 24-year-old Ortiz to win the WBC welterweight title. After Ortiz was warned for head-butting Mayweather, they touched gloves, and Ortiz looked for referee Joe Cortez to signal a restart (Cortez said he did, but Ortiz said he didn't hear it) while Mayweather pounced on his unsuspecting opponent with a left-right combination in the fourth round. 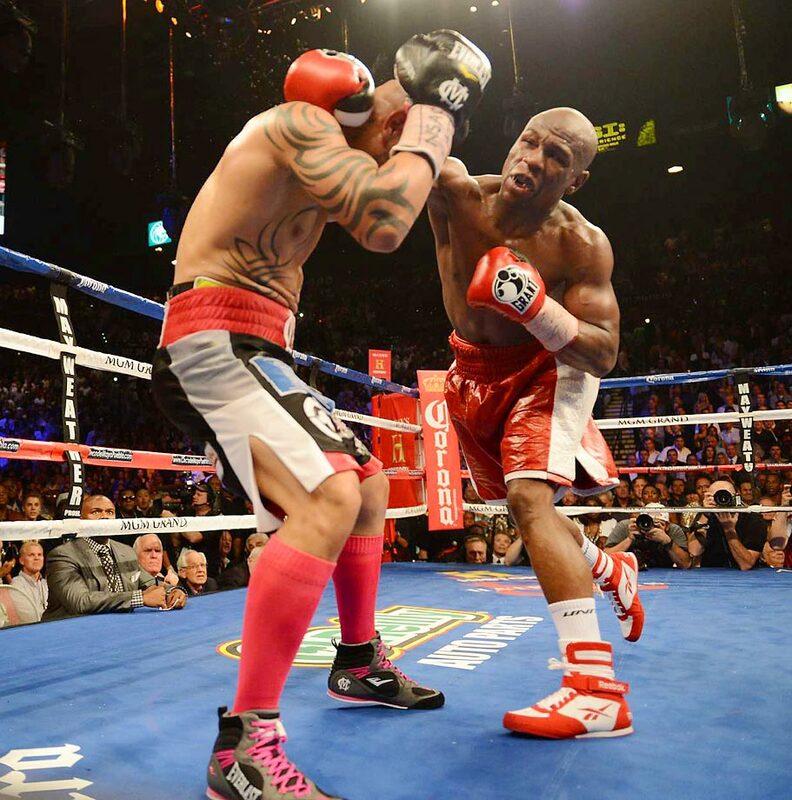 Miguel Cotto lasted all 12 rounds and gave Floyd Mayweather a really good fight. 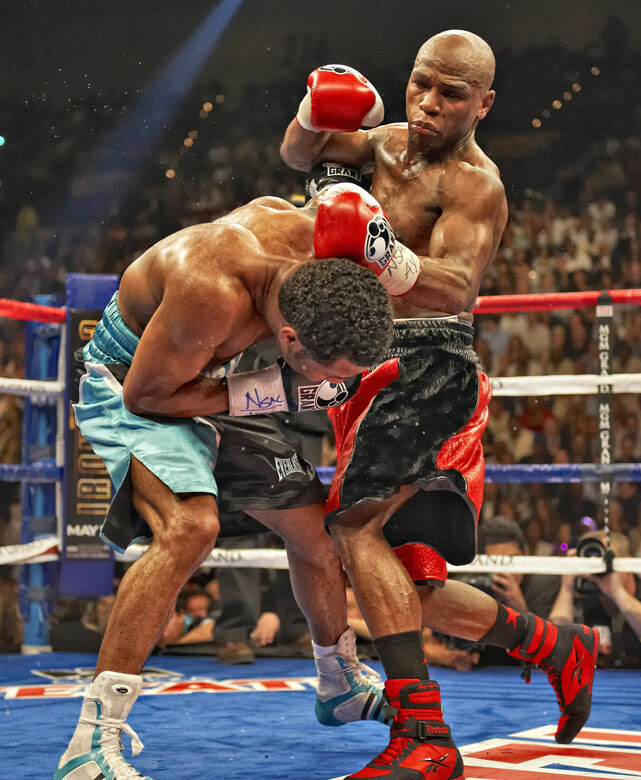 In the end, though, Mayweather won a unanimous decision and was given the WBA and WBC. super welterweight belts. Handed the third loss of his career, Cotto could at least take solace from the fact that Mayweather said Cotto was the "toughest guy I ever fought." 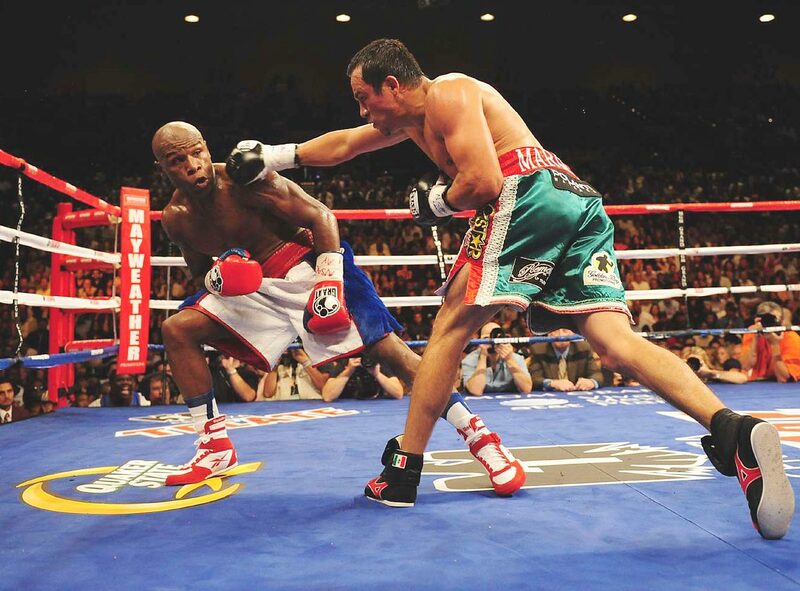 Floyd Mayweather defended his welterweight title with an easy victory over Robert Guerrero at the MGM Grand in Las Vegas in May 2013. 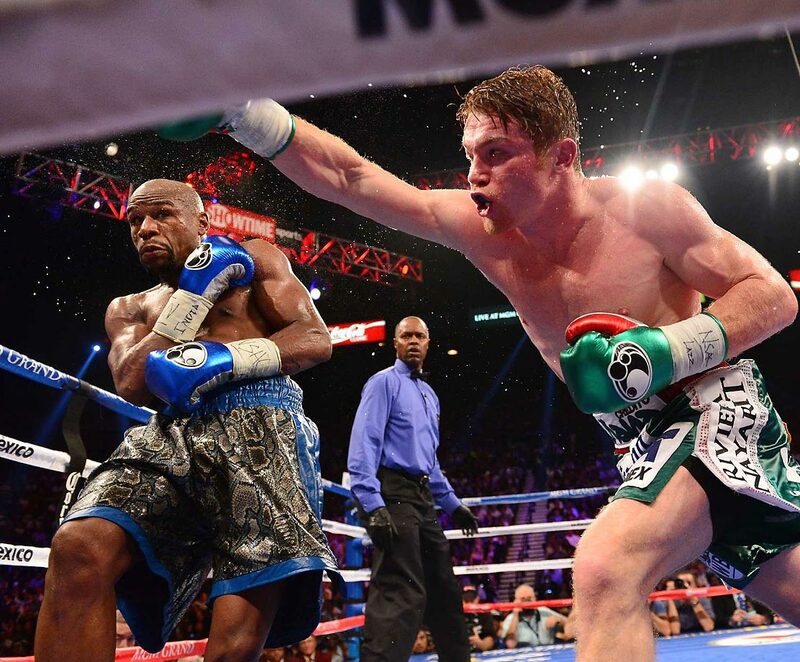 Mayweather walked away with a majority decision against Saul Alvarez as he unified the junior middleweight world titles. 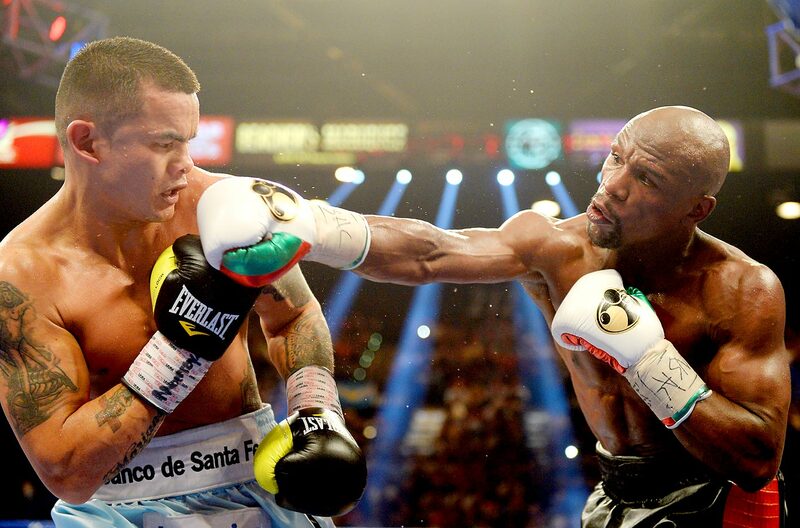 Floyd Mayweather ran his record to 47-0 with a tougher-than-expected fight against Marcos Maidana. Two ringside judges scored it 116-111 for Mayweather, while the third had it 115-112. 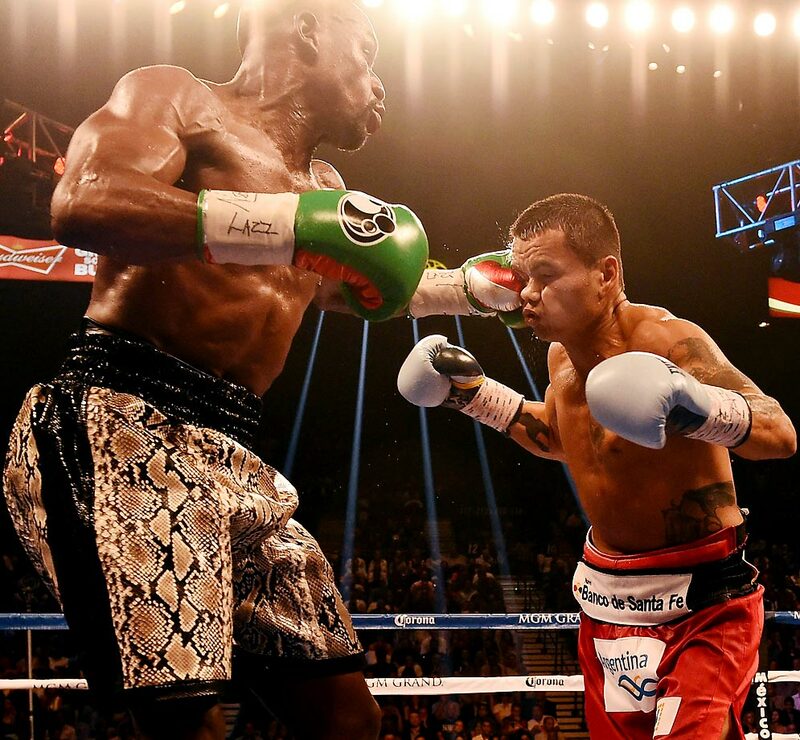 The champ kept his welterweight and junior middleweight belts with a unanimous decision in his rematch with Maidana. The judges scored 116-111, 116-111 and 115-112.